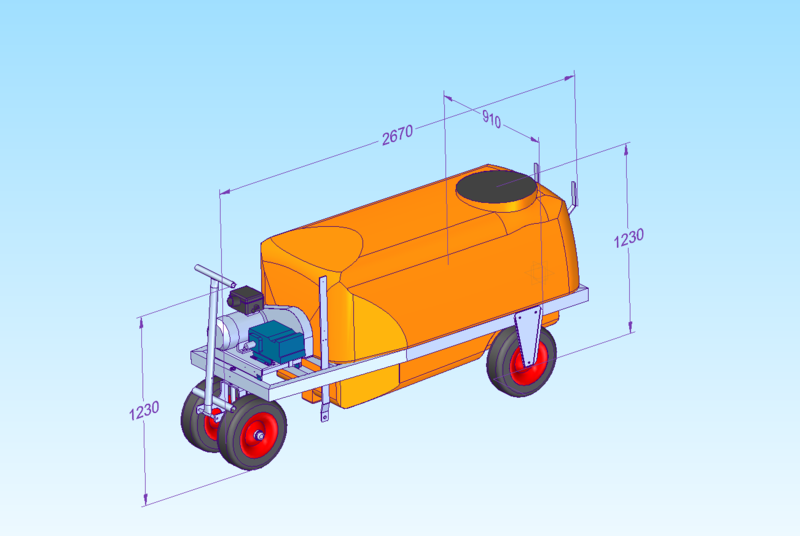 Georgia 4-wheel motorised spray carts with a tank capacity of 600 to 2000 litres. As standard including hydraulic mixing in the tank, spring cover with air vent, sight gauge with drainage tap, filler pipe with GEKA connection and non-return valve, 16-litre clean water tank and 6-ply tyres. The shape of the tank ensures that that tank can be fully sucked empty. Excluding accessories such as hose and spray gun. For price information please log in first.